Converted, expertly-modernised and well-appointed stone cottages offering clean, warm and comfortable accommodation. 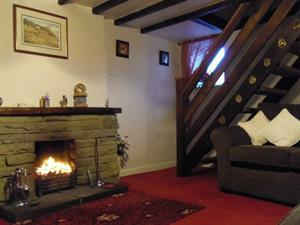 In a relaxing environment in a picturesque village, central for the Moors, Dales, Coast and forest walks. Small (5 pitches) grass site in the middle of Dalby Forest Pick a pitch in the strip of grassland around our very large garden. "We Promise A Warm Yorkshire Welcome, The Best Nights Sleep And A Hearty Breakfast"
Helene and Richard would like to welcome you to Bramwood Guest House where we offer the traditional English B&B experience with cosy bedrooms and a hearty breakfast. Bramwood is located close to the centre of the market town of Pickering. This beautiful modern high standard apartment has quality oak furniture, luxury linen & all the latest mod cons. Set on a quiet, tree-lined street in the upmarket Weaponness area, with private landscaped gardens & an outdoor dining area. Family-run hotel, large Victorian terrace overlooking the North Bay. Close to all amenities. White Gable is quietly situated in one of the most desirable districts of Scarborough close to the sea, and opposite the golf course. Close to the Miniature Railway, North Bay promenade, Beach, Sea-life Centre, Open Air Theatre, Alpamare. Major refurbishment for 2019. Adults only, very peaceful location with beautiful panoramic views. Cottages sleep from 2 to 5 people. Two cottages are all ground floor for people with mobility issues. Central for Moors, Coast & Wolds. Stay in Staithes is a direct marketing service for a select number of holiday cottages in Staithes. 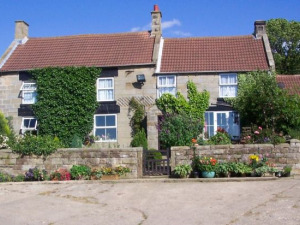 This historic village is located on the beautiful North York Moors coast just 20 minutes’ drive from Whitby. A family run guest house, Phoenix Court overlooks Scarborough's north bay and is only minutes walk from the beach, Scarborough Castle and many other local attractions. 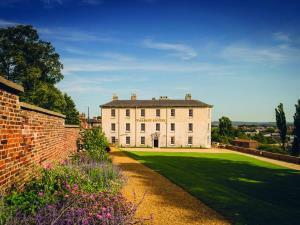 These attractive Visit Britain 3 star rated apartments are ideally based for a holiday in Scarborough. These apartments have all the home comforts you would need & have excellent views of either the sea or gardens. No booking fee. The Dolls House is a quaint newly renovated cottage with views of the South Bay, Castle walls and St. Mary's Church; home to Anne Bronte's grave. It is close to the town centre, beach and North bay. On street parking permits are provided. Victorian building, No smoking or pets policy. Free Wi-Fi, Families welcome. Comfortable clean rooms. Our big breakfasts are really enjoyed. 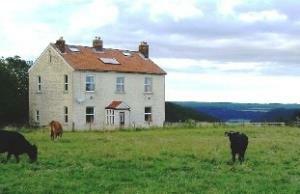 Granary conversion forming 4 cottages & two flats on a quiet, secluded working farm. Set amidst the Howardian Hills with splendid views. Central for the moors, dales, coast and York. Wi Fi throughout. Characterful detached stone cottage with private parking. Quiet location with pubs/restaurants and shop within walking distance. A bed & breakfast guest house serving full English breakfast. Clean, cosy and comfortable seaside base on North Bay. Victorian townhouse with high ceilings, bay windows and good size bedroom. The Old Manse is a fine Edwardian house set in 1 acre of garden/orchard, tastefully furnished and equipped to provide a wonderful base for you to explore Pickering and the North York Moors National Park. Historic country house hotel standing on the clifftops, 600ft above sea level with panoramic views across Robin Hood's Bay and extensive grounds. Fifty-two bedrooms and eight eco-friendly lodges, leisure facilities and golf course. Cosy terraced stone cottage, quiet location. Well equipped and conveniently located. Sleeps 4 and a cot, car parking and garden. 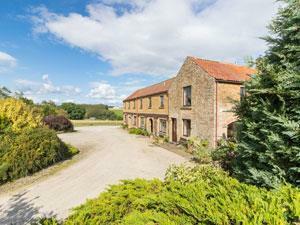 Situated on the edge of the North York Moors, with beautiful views over-looking 11 acres of grounds and the sea. 67 en-suite bedrooms, relaxing lounges and educational and conference facilities. Providing great food and excellent service! A listed Jacobean hall standing in its own grounds. Guest lounge, dining-room and cosy bar. Large rear garden. Rowantree is a third generation working farm. A detached sandstone house dating back nearly 200 years with original beamed ceilings. 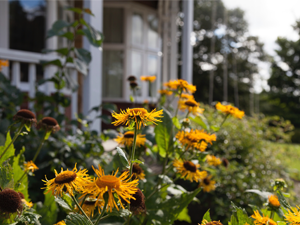 The perfect place to stay for stunning countryside & moorland views, perfect for walkers & cyclists.